We wish you a happy, healthy, and successful New Year 2017! This year we mark the 450th anniversary of Monteverdi's birth and the 250th anniversary of Telemann's death . We are celebrating both of these anniversaries with a series of new publications listed for you below. Bach vocal, our edition of the complete sacred vocal works of Johann Sebastian Bach, is augmented with the publication of two more cantatas this month. 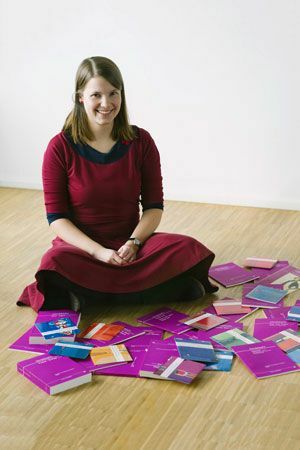 The edition will be completed in the 500th anniversary year of the Reformation (by Reformation Day in October 2017). Lent and Passiontide are almost upon us. We have put together a selection from our extensive repertoire of choral music for Passiontide and Easter for you on our website and in a flier. Discover for yourself! Please note our special offer: you can purchase all the Passiontide works in carus music, the choir app, at 50% discount until 28 February 2017 in the App Store or on Google Play! 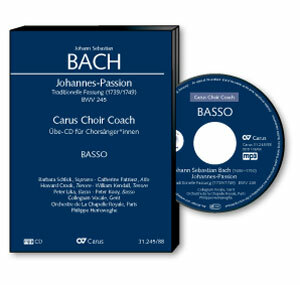 A high point of the choral repertoire for Passiontide is Bach's St. John Passion; in the Carus catalog you will find not only the traditional version, but also the 1725 and 1749 versions which are often sought-after for performance. 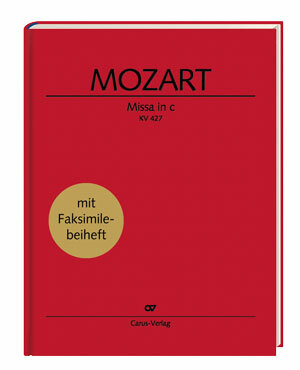 The traditional version of the St. John Passion has now also been published as a vocal score XL in reader-friendly large print. We have put together a selection from our extensive repertoire of choral music for Passiontide and Easter for you on our website and in a flier. 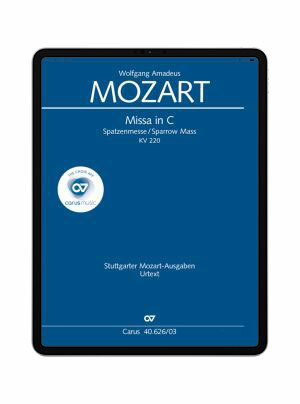 Frieder Bernius and Uwe Wolf have published a new edition of the Mozart mass which attempts to produce a performing version. Together with the full score (paperback), a high-quality clothbound edition ist now available . Are you familiar with the videos about our editions? With the latest Making of video, we looked over the shoulders of Frieder Bernius and Uwe Wolf during their collaboration on Mozart's Missa in c! A fascinating insight into the creation of the new edition and its recording! 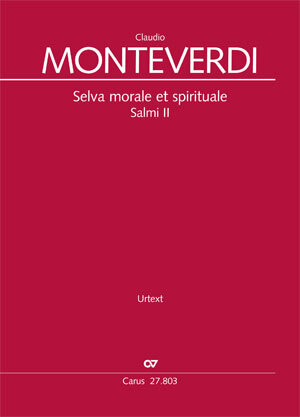 An important new publication for Monteverdi's 450th anniversary is the new edition of his Selva morale et spirituale. The volumes Salmi I and III are already available; the volume Salmi II contains further settings of the frequently-set psalms and the psalm Memento (the first settings of the frequently-set psalms can be found in the volume Salmi I). All pieces of the Selva are available as single editions with complete performance materials or are in preparation. 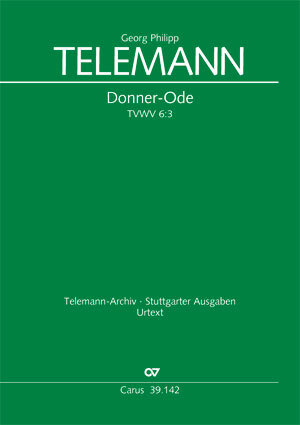 The ambitious late work of Georg Philipp Telemann, consciously dedicated to vocal composition, begins with the Donner-Ode (1756/1760). The new edition presented here takes into consideration important, newly discovered sources such as the autograph of the first part. The edition of the complete sacred vocal works of Johann Sebastian Bach will be completed by Reformation Day in October 2017. 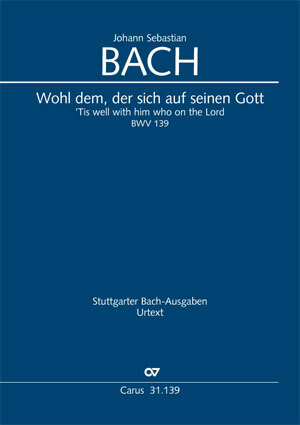 New available are the cantatas Tis well with him who on the Lord BWV 139 and Now thank we all our God BWV 192. 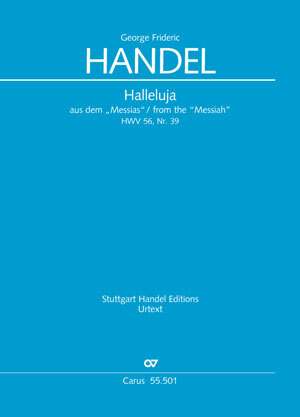 The most famous chorus from Handel's Messiah, the Halleluja chorus, is now available as a separate edition, together with the complete performance material based on the critical edition published by Carus. For background reading, we recommend Helmuth Rilling's book Messiah. Understanding and Performing Handel's Masterpiece. 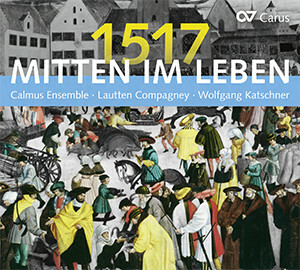 The Calmus Ensemble and the Lautten Compagney embark on a musical journey into the 16th century: Using Martin Luther's paean Mitten wir im Leben sind as its starting point, the musicians paint a lively picture of life during the Reformation era. 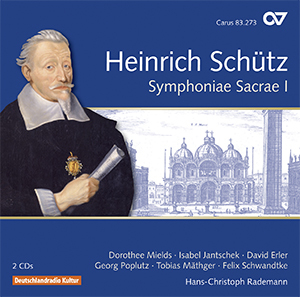 Another new release on our CD label is the latest installment in the prize-winning Schütz Complete Recording by the Dresdner Kammerchor conducted by Hans-Christoph Rademann, the Symphoniae Sacrae I (Vol. 14). All the Passiontide works in carus music are available at 50% discount until 28 February 2017 in the App Store or on Google Play! Normally one of the staff presents his or her personal favorite piece here. But for me, and probably for many others too, this choice changes frequently according to my mood. By contrast, for me it is all about a favorite composer: Felix Mendelssohn Bartholdy.